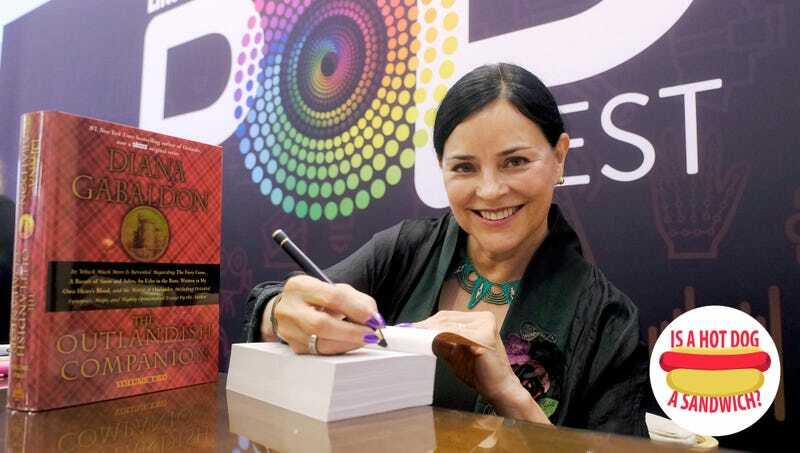 There was a time when Diana Gabaldon’s Outlander books stymied publishers, booksellers, and all manner of literary industry types. The story’s about a battlefield nurse in World War II (history) who touches a giant standing stone and gets sent back through time (fantasy) to 18th century Scotland (history) where she meets a staggeringly handsome outlaw (romance) who is definitely not her existing husband (literary fiction?) Were these volumes romances? Fantasy? Historical fiction? Plain ol’ fiction? They were all those things, really. What they really were, above all else, was page-turning, and also popular. Popular might be a bit of an understatement. Before the Starz series adapted from the books premiered in August 2014, there were 25 million copies in print. The debut of the series shot the first book, Outlander, to the top of the New York Times bestseller list for the first time since its initial publication in 1991. According to The New York Times, the subsequent three books have also re-appeared on bestseller lists since that time. There are Outlander conventions and Outlander clothes and an Outlander cookbook. It just placed second in PBS’s The Great American Read, just ahead of the Harry Potter books and just behind To Kill A Mockingbird. And the fourth season of the show returns on Sunday, though it’s already confirmed to be far from the last—the series was renewed for its fifth and sixth seasons way back in May, and the network promises more to come. I began writing Outlander for practice. I knew I was supposed to be a novelist, but I didn’t know how, and I decided the way to learn was to actually write a novel. So, Outlander was my practice book. I was never going to show it to anyone, so it didn’t matter what I did with it. It didn’t have to have a genre, so I used anything that I like. The novels—which span thousands of pages, have been published in 40 countries, and spawned a television show that’s itself quite a hit—first saw the light of day when Gabaldon shared a section of the first book with a man on a message board in order to win an argument about what it felt like to be pregnant. (One would think a man might defer to a woman in such matters, but of course not.) Like her heroine, Claire Fraser, she’s determined, confident, and forthright. Naturally, we asked her if a hot dog is a sandwich. TO: Definitively, a hot dog is a sandwich? DG: Oh yes, it’s meat and bread, that’s a sandwich. What else could it be? TO: So, meat plus bread equals sandwich? DG: Of course, yes. What do other people say? TO: Well, to be honest, you’re in the minority. DG: Am I? What do they think [it is]? TO: They think it’s a hot dog. DG: Well, it is a hot dog. And a sandwich. Starring Caitriona Balfe, Sam Heughan, Richard Rankin, Sophie Skelton, John Bell, David Berry, and a whole slew of other great actors, Outlander returns to Starz for its fourth season on Sunday, November 4, at 8 p.m. EST. Sing me a song of some meat and a bun; say, could that bun be bread?